My name is Rutger Sluijters, built 1985 and residing in The Netherlands, builder of this website and all projects on it. Since the late 90’s in high school I had a strong interest in high performance engine tuning, which as I grew older, evolved into a general interest in automotive engineering. I have a specific interest and capability in developing parts that enhance engine or suspension performance, reduce fuel consumption & weight, fit into seemingly impossible spaces or combine any or all of these features. In my projects on this website all of these capabilities come forward. Alongside, I rebuild engines and look for ways to improve their performance in the process. Most of my work is on Nissan engines such as the VG30DETT. 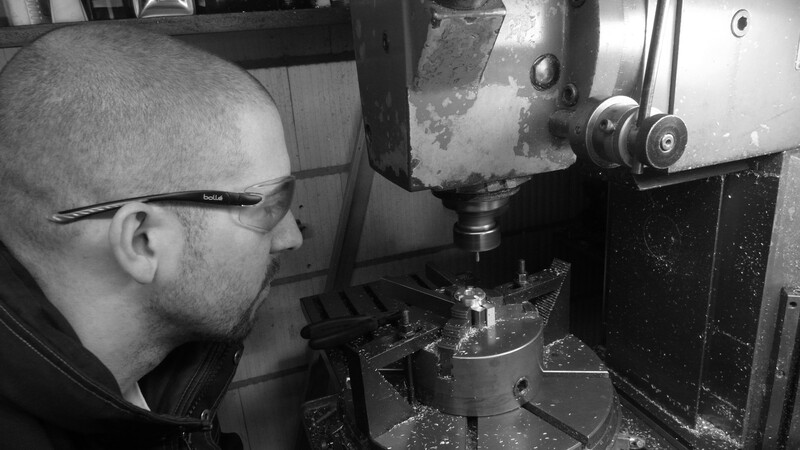 I currently work in a machine shop as a/being educated CNC milling programmer. I have no professional nor formal educational background in any form of engineering, apart from a Solidworks 3D drawing university certificate. I’ve been working for years in industrial craft bakerys. As a visual thinker, I first look for the physical, mechanical or economical limits dictating a product’s design, and then refine the final product based on further calculations. My visual thinking processes increase my ability to quickly overview entire designs and dismiss poor ones. I’m a perfectionist and I have a ‘finish what you start’ mentality. In my spare time I worked on countless automotive projects, and educated myself by studying standard engine maintenance or automotive suspension books up until supplementary books for university students on the subject of manifold design techniques. Over the years I met several highly experienced engine (tuning) specialist, who not only shared plenty of information with me, but also inspired me to study the backgrounds behind the designs. Even before I was 10 years old, fed by my fathers huge collection of naval warfare books, I had a fascination for strategic computer games such as Red Alert. I enjoy studying warship design and warfare strategics, specifically in naval warfare from world war 1 & 2. What attracts me about warships from those days is how important their overall performance was in war strategy, and how their appareance would influence politics. Naval battles were huge boxing matches where opposing ships faced each other directly, and the quality and handling of a ship would dictate the outcome of a fight. I also work 8-16 hours a week as a volunteer in an old animal shelter. Apart from cleaning and caring for the dogs and cats, I perform many repairs, from fixing fences to maintaining a 4 ton wheel loader. In my small shop I work on my Aciera F5 milling machine, a Harrison M400 lathe, a Fronius AC/DC welding machine and countless additional tools. I have well over 1500 hours experience on the Aciera, and several hundred on the Harrison. In addition, hundreds of hours welding, shaping of tubes, plates, etc.